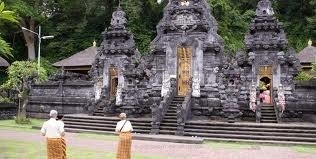 On Bali's eastern coast is the small but important temple of Goa Lawah. 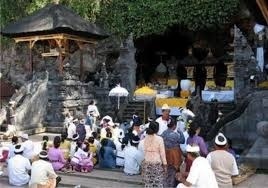 The temple itself is built just in front of a cave opening in the coastal cliffs. 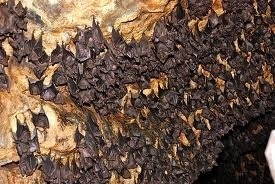 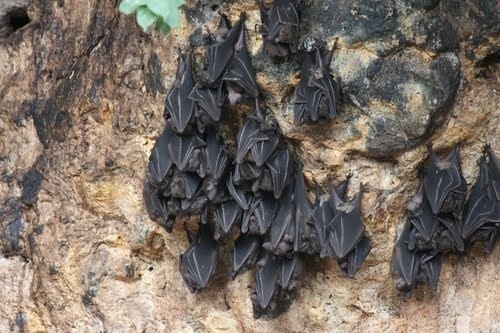 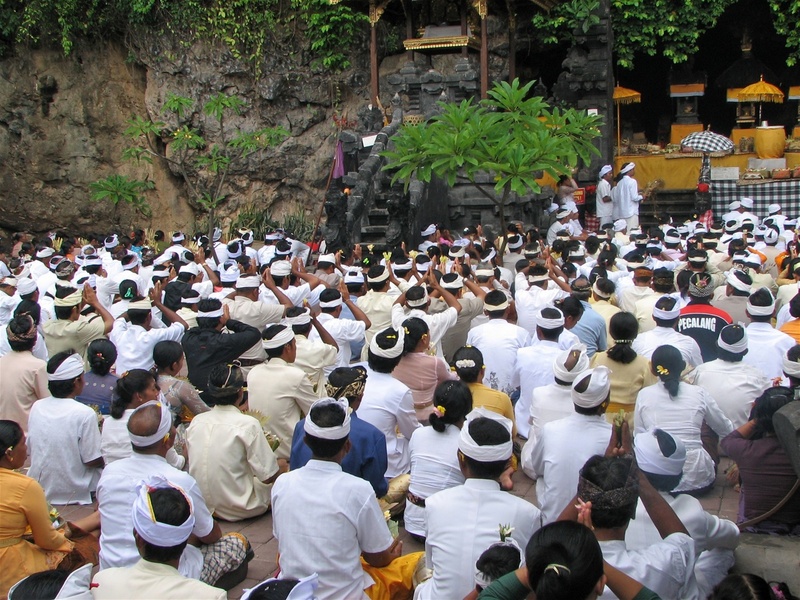 The cave is home to thousands of fruit bats, and according to legend, a giant dragon-like snake called Basuki also makes the cave its home. 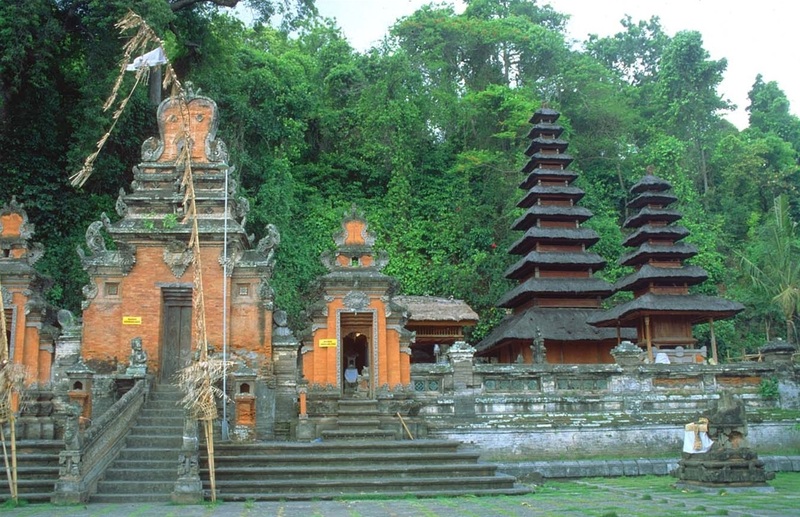 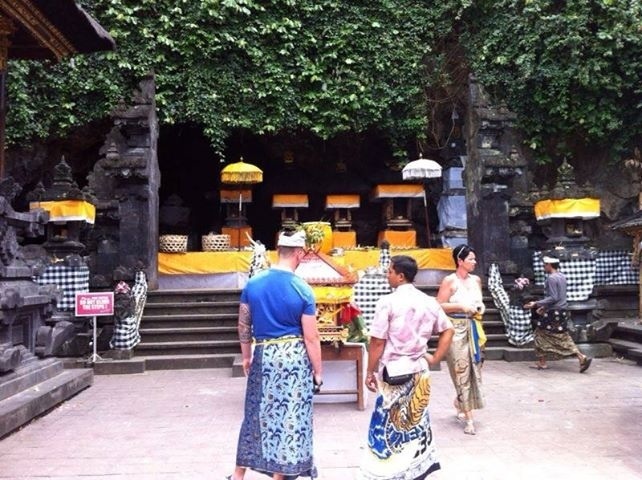 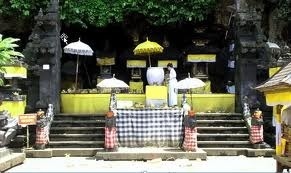 Goa Lawah is Bali's most important temple for matters pertaining to the afterlife.